Eric Klotz has been a professional teacher and performer for more than 20 years. He holds both a Bachelors and Masters in Jazz Performance and his mentors are graduates of Berklee College of Music and North Texas State University. He is the recipient of the prestegious Louis Armstrong Jazz Award and was performing professionally with and as a sub for his professors throughout his schooling. His 20 years of teaching experience includes 5 years as adjunct professor at Minnesota State University Moorhead, 8 years as the guitar instructor at The International Music Camp, 3 years at Glenbrook South High School (the National Grammy School of 2008), and 8 years in various music stores. In 2007 he founded Klotz Guitar Studio, where he currently works full-time to help musicians of all levels explore the music that interests them. Eric has performed in a large variety of contexts, from solo, small group, and big band/orchestral to studio and theater productions. He is well versed in a variety of styles including funk, jazz, rock, metal, blues, folk, and latin music. He has performed with some of Chicago's finest musicians, both as a leader and sideman. In 2008, the Eric Klotz Trio was one of 5 bands in 3 states selected as a finalist to perform for a spot at Minnesota's 10,000 Lakes Festival. Currently, Eric can be found performing various styles regularly in and around the Chicago area at venues such as the House of Blues, Navy Pier, Shedd Aquarium, the Hard Rock Cafe and various street festivals throughout the summer. 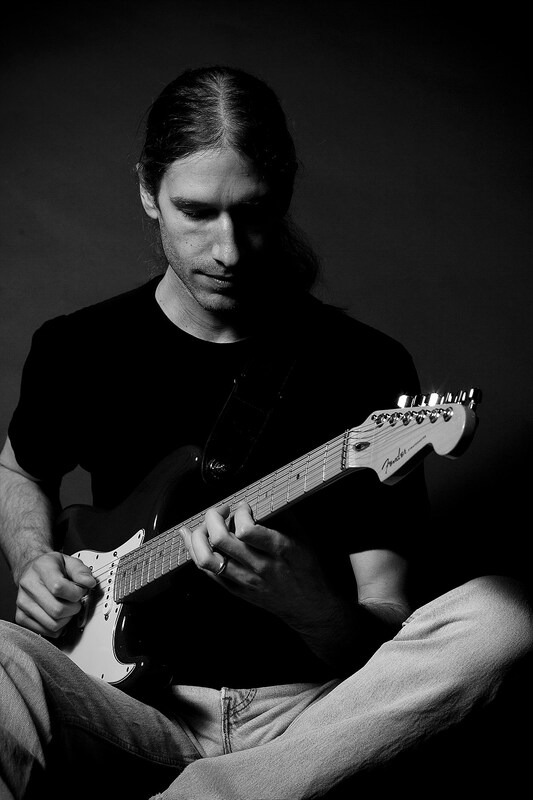 He performs regularly with Reely Dan (Steely Dan Tribute), Red Clay Collective (jazz/rock), Fire Hot Opera (rock/R&B), Grape Juice Plus (free improvisation), Rio Bamba (latin jazz) and as a solo jazz guitarist. Eric uses Klotz cables (separate company and no relation) live, in the studio, and at Klotz Guitar Studio because they sound better.